The new edition of Late Night Tales journeys to Scandinavia to invite Norwegian duo Röyksopp to delve through their record collection. Their Late Night Tales mix is eclectic, diverse and wonderful. Sliding from light folk to widescreen ambience to experimental rock to prog-pop (seasoned with the occasional guilty pleasure); it’s all in the spirit of the night. Following the exclusive introduction track ‘Daddy’s Groove’, Rare Bird’s beautiful 1975 B-side’Passing Through’ then leads into Australian supergroup Little River Band. The first of several delicate folk moments, it’s joined by the ever soulful John Martyn. There’s a strong representation of alternative European sounds. 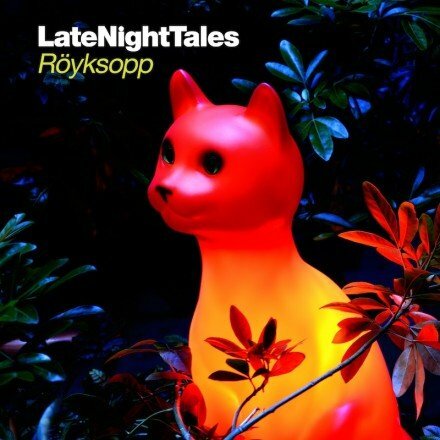 Röyksopp mine deep and wide to unearth the rare and unusual German psych-pop of Richard Schneider Jnr (featuring none other than Can’s Jaki Leibezeit on drums), France’s unique F.R. David and the new age melodies of Switzerland’s Andreas Vollenweider – it’s pop Jim, but not as we know it. There are also the more familiar names of XTCand Thomas Dolby, as well as Röyksopp’s exclusive cover of Depeche Mode’s ‘Ice Machine’ and brand new track opening Daddys Groove. The music draws to a close with goth-dream-pop 4ADfounders The Mortal Coil’s Emmylou Harris cover ‘Till I Can Gain Control Again’; blending into a cinematic moment from German electronic avant-garde band Popol Vuh, contributing to the soundtrack of Werner Herzog’s 1972 movie Aguirre, the Wrath of God. The second part of theBenedict Cumberbatch narrated story ‘Flat of Angles’ closes time on this coolly individual edition ofLate Night Tales.